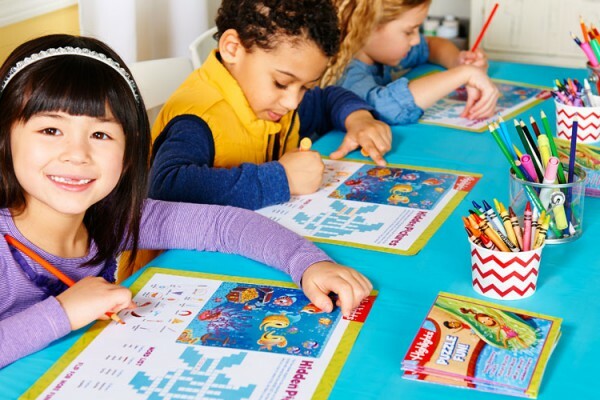 Tis the season for summer fun! The weather’s finally warming up, the kids are out of school, and everyone wants to get outside and enjoy that wonderful sunshine. 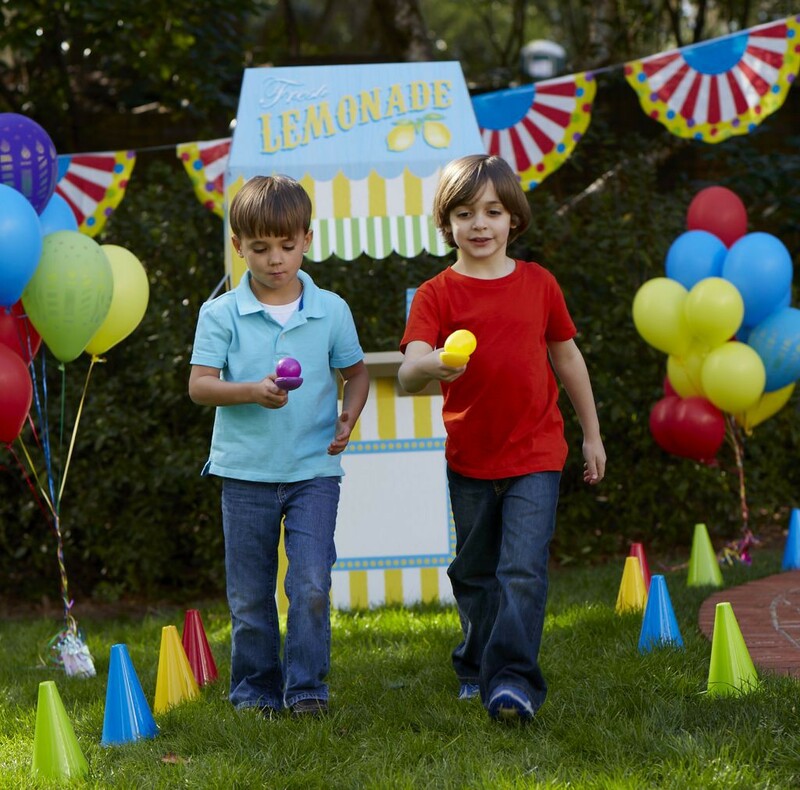 Birthday parties are not immune to this phenomenon, and one of our most popular outdoor party themes is the backyard Carnival party. 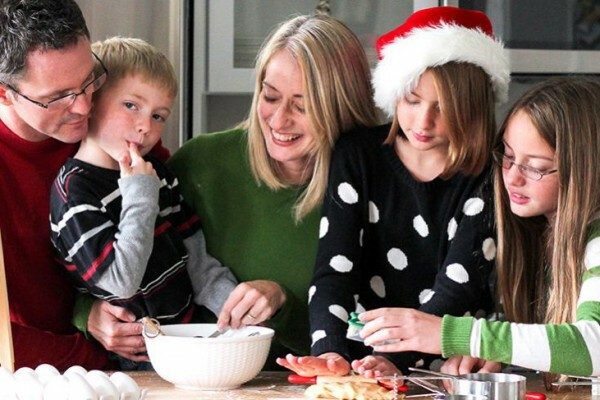 And frankly, when you look at these smiling faces, you can certainly see why! These people aren’t merely happy, they’re ecstatic. And why wouldn’t they be? 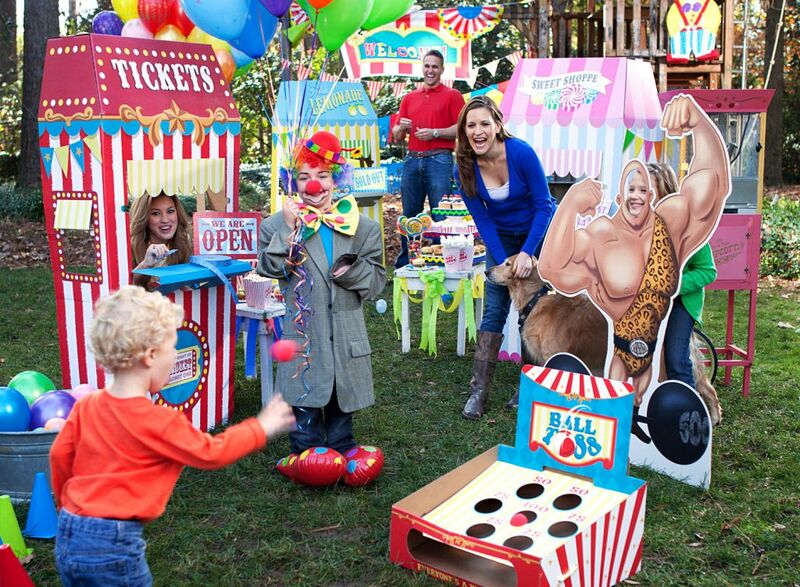 The carnival came to town and set up in their own backyard! 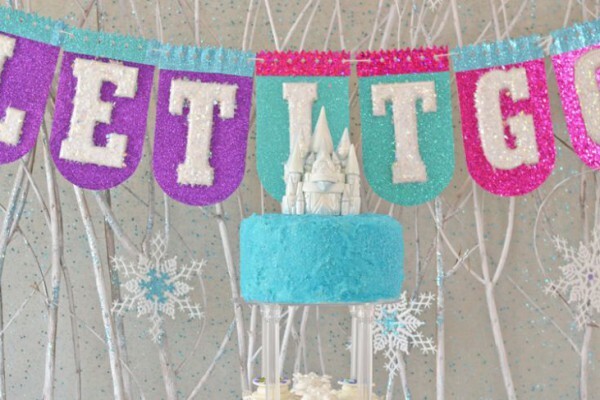 To see what a carnival party looks like inside instead of outside, click here! 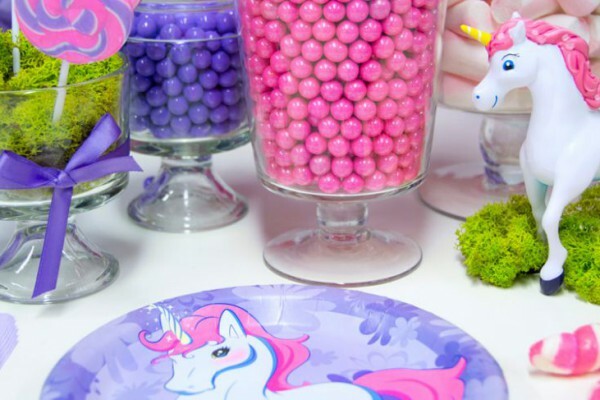 Get great tableware for your Carnival party from BirthdayExpress. 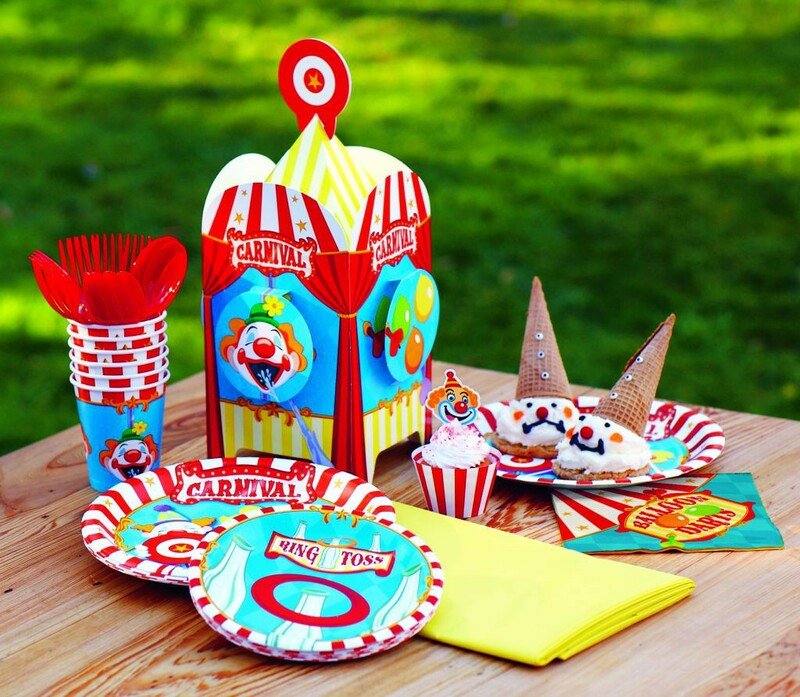 From plates to cups to napkins to this great centerpiece, we’ve got everything you need to serve your ice cream clowns in style. 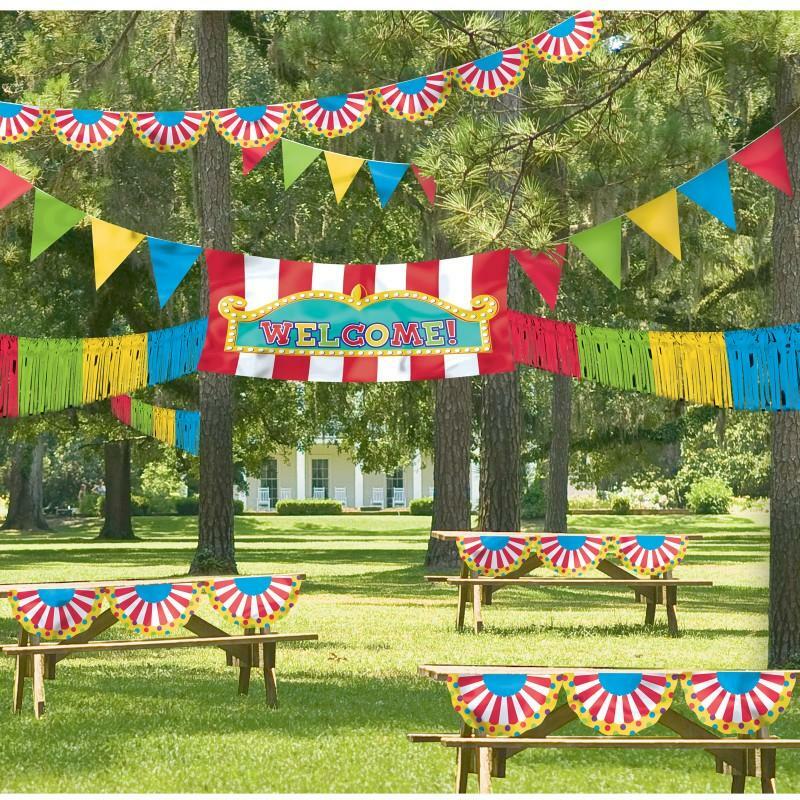 Your backyard might not be as big as this city park, but even if it is, our Giant Outdoor Decorating Kit has enough brightly colored bunting to trim every tree! 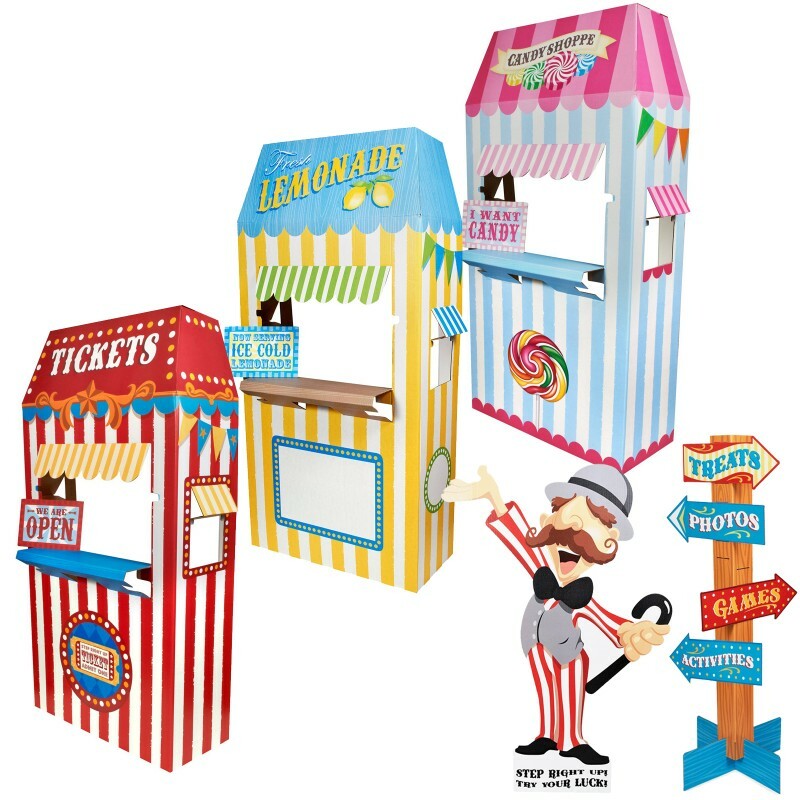 Another set of popular items from our Carnival line are the cardboard stand-up booths. and our Ticket Booth! 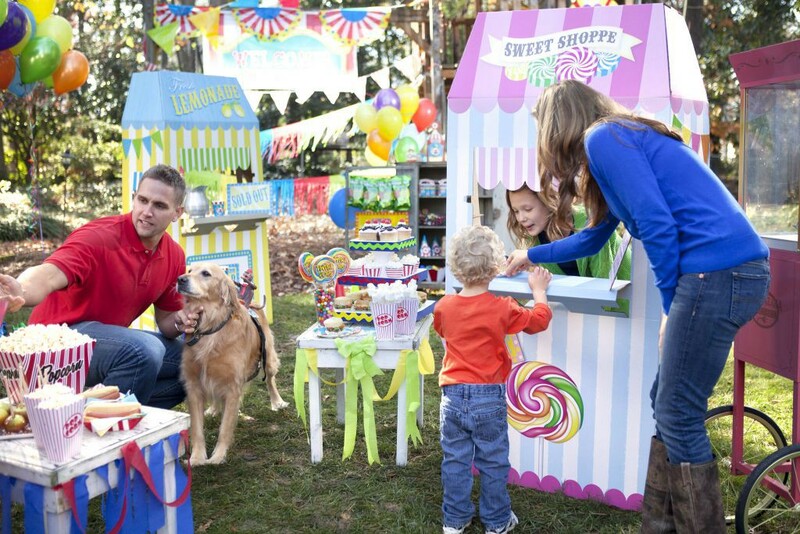 Can’t have a carnival without a ticket booth! Also, you can get the three booths, along with our carnival barker stand up, in a single set, which is like getting all four items for the price of three! 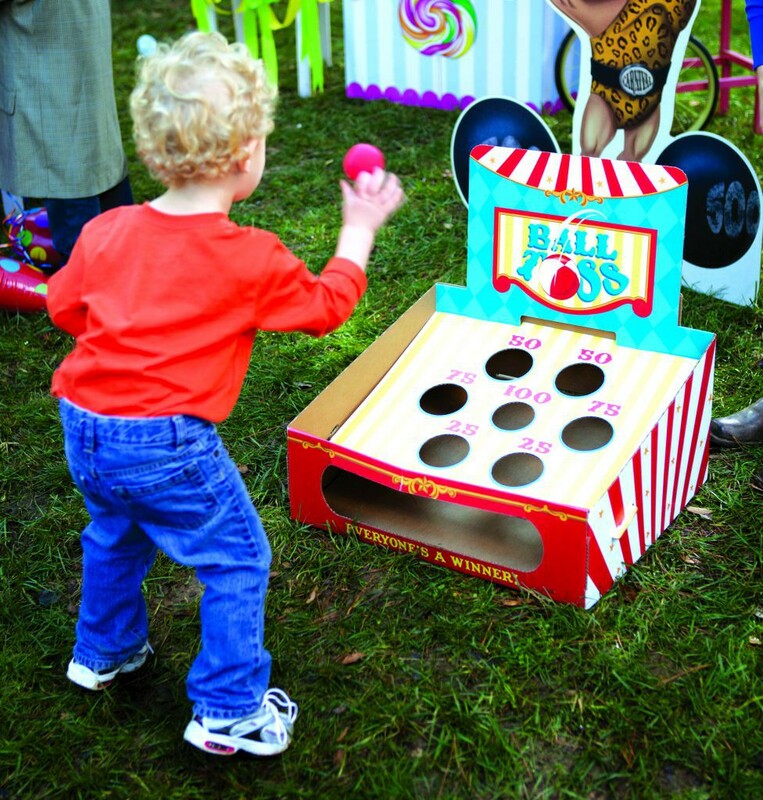 Now, once you have your ticket booth and your carnival barker, the next thing you’re going to need is a good selection of carnival games! 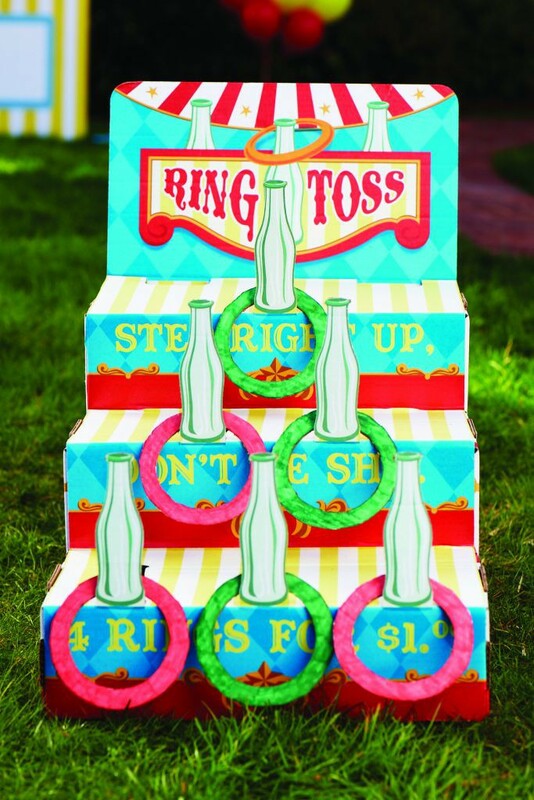 It’s the Ring Toss game — an old favorite at every fair worth its funnel cake! 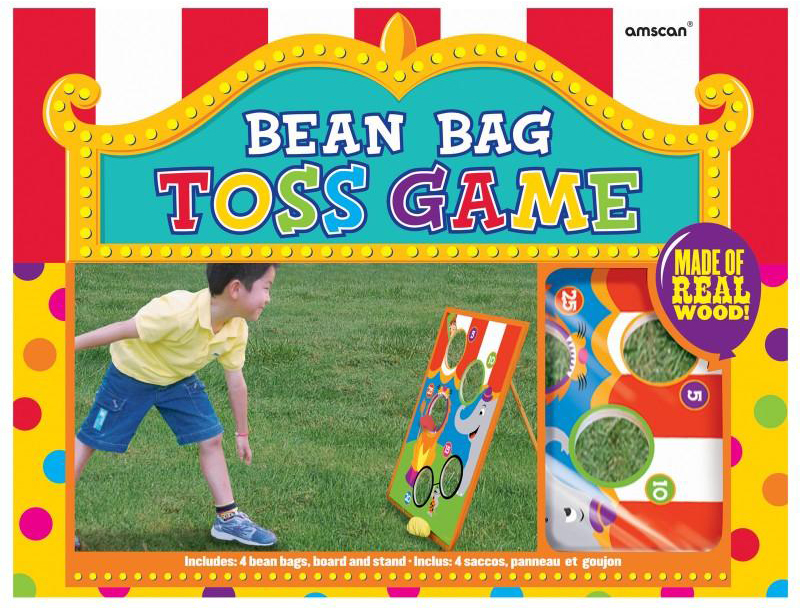 And here we have the Bean Bag Toss Game, another event that’s as fun as it is challenging. Though we suspect the kid on the box is cheating a little. Hey, champ, how about you take at least a couple steps back, huh? This variation on the classic Egg and Spoon Race replaces the egg with a small water balloon. No less fun, and better for cleanup! Besides, haven’t you heard there’s an egg shortage going on? 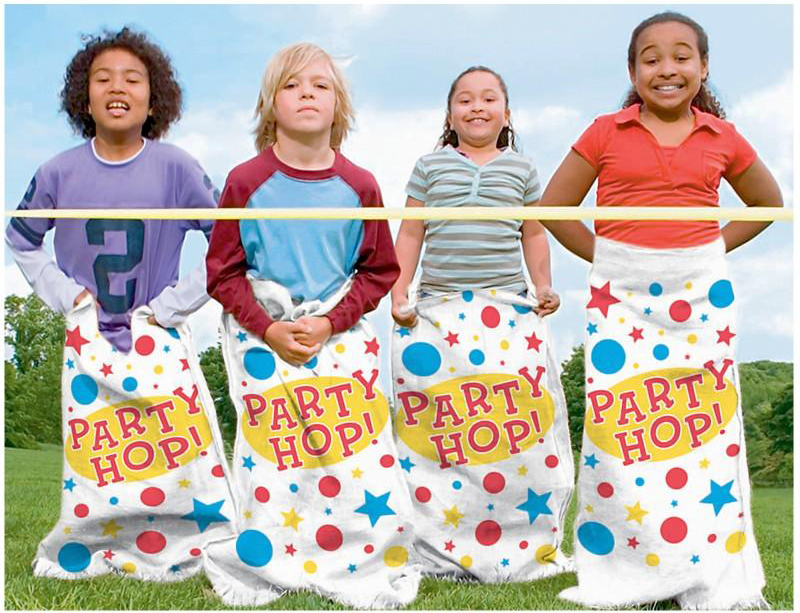 Or you could have yourself a good old fashioned Potato Sack Race! However you choose to fill out your carnival party activities, we hope we’ve given you a few ideas, and the means to achieve them! 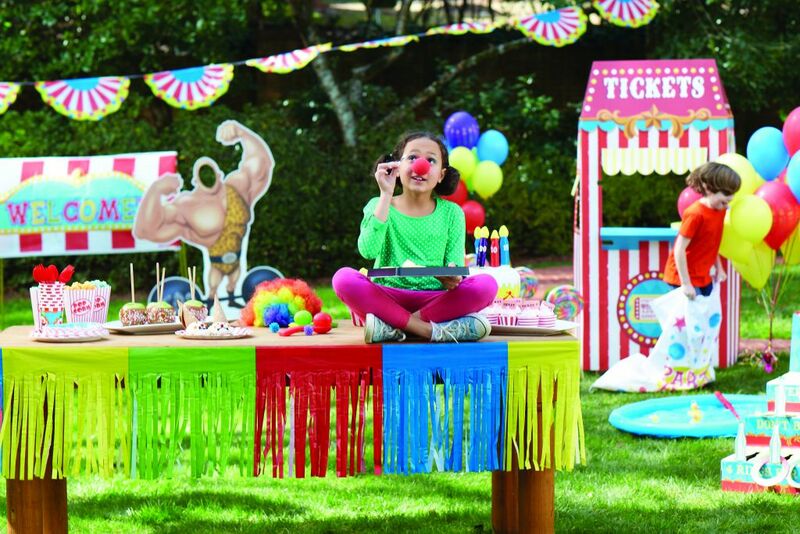 Click here to see all of the Carnival party supplies available at BirthdayExpress! 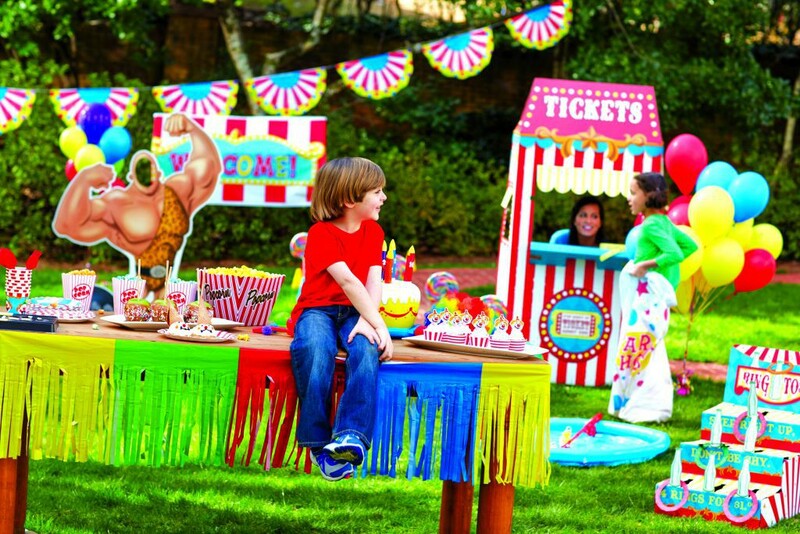 Have we inspired you to throw a backyard Carnival party?